Big Chill’s resident restaurant, Chuck Burger, the team behind Hotbox on commercial street, a once street vendor turned permanent site, so it is safe to say they know what they are doing. 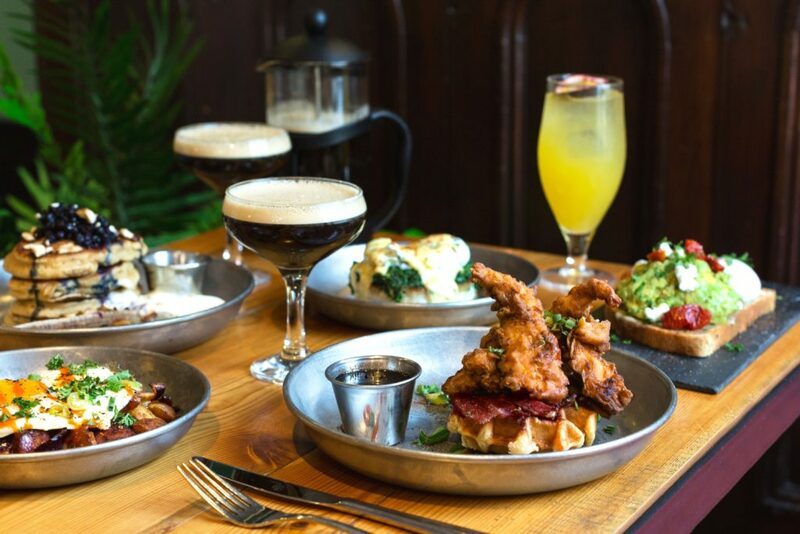 The brunch includes The Morning Glory, a breakfast burger in an English muffin, with maple cured bacon, semi dried tomato and potato rosti, an obvious choice to clear any hangover from the night before. 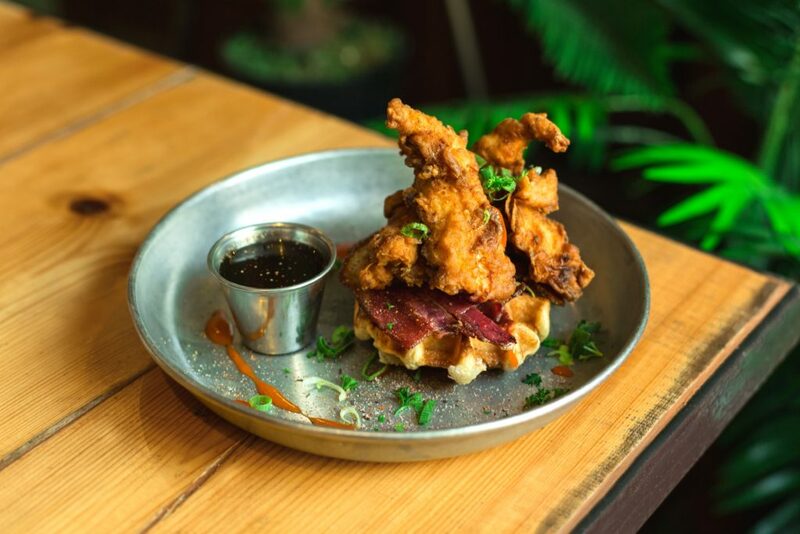 To continue in true American spirit, the fried chicken and waffles, a lusciously crispy buttermilk chicken strips over a soft on the inside and crispy on the outside Belgian waffle. Served with maple smoked bacon and Canadian bacon it’s a delicate balance between sweet and savoury. If guests have more of a sweet tooth, order the buttermilk pancakes, which felt like clouds with a buttery crust. These are served with a brûlée banana, and cornflake whipped cream, which unfortunately didn’t taste of anything other than whipped butter. 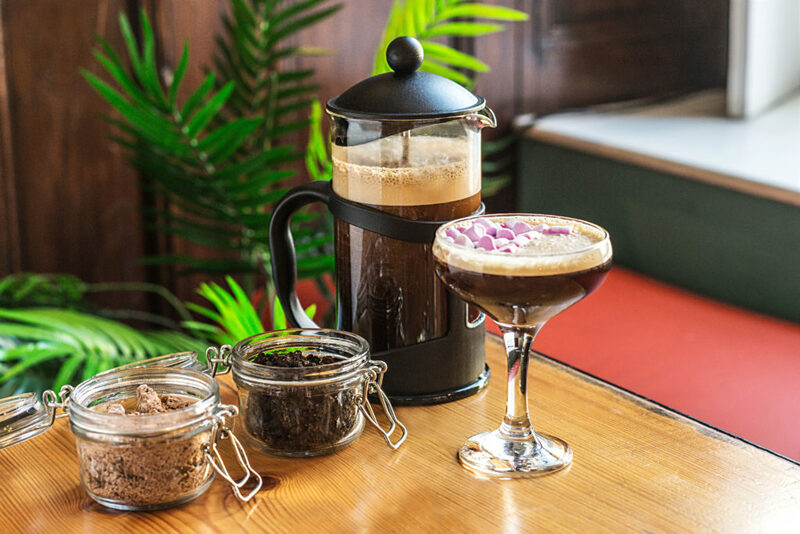 To wash it all down, guests can choose between Prosecco, passion fruit spritz (vanilla vodka, passion fruit purée, pineapple juice and Prosecco), and espresso martinis served in cafetière alongside a choice of marshmallows, crushed Oreos and gunner nut and flake garnishes. Make it bottomless for £25. 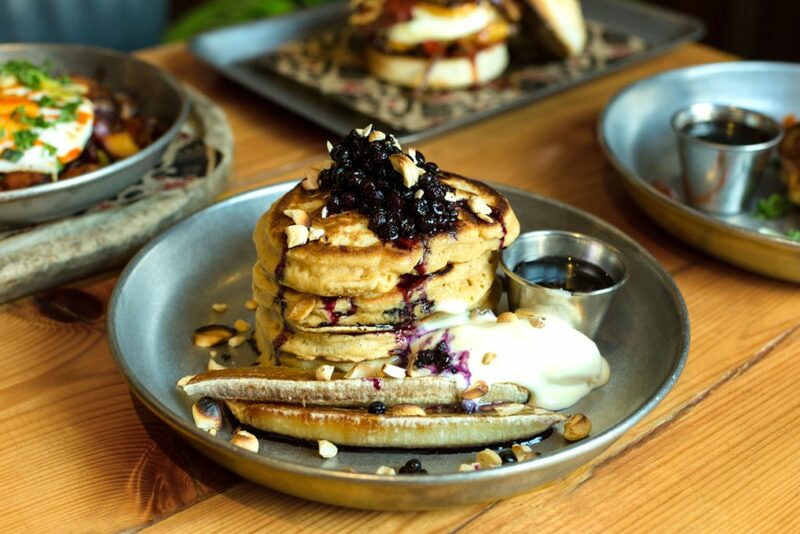 Located right by Kings Cross, it’s the perfect meeting place and although the menu doesn’t revolutionise the brunch scene as it contains all the classics, it’s extremely well executed, from the crisp of the bacon to the fluffiness of the pancakes.